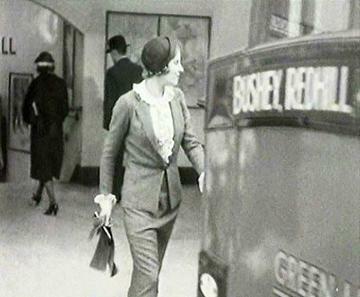 The "wheels" in the title of this musical comedy actually refer to those on the Green Line coach that Fred Hopkins (Jack Hulbert) and Leonora Corbett (Jane Russell) take to work each day. 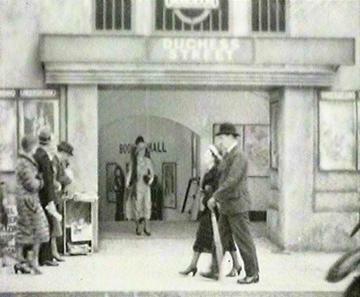 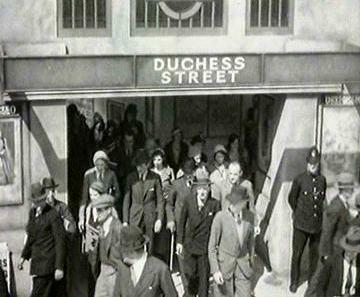 The opening number shows a montage of the various forms of transport commuters used at the time, and there is a brief glimpse of a mocked-up "Duchess Street" Underground station, notably in the architectural style of Charles Holdens stations on then relatively new Northern line Morden Extension. 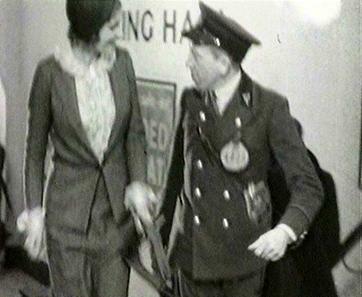 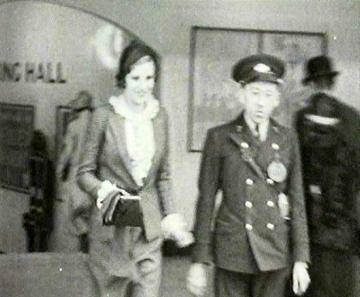 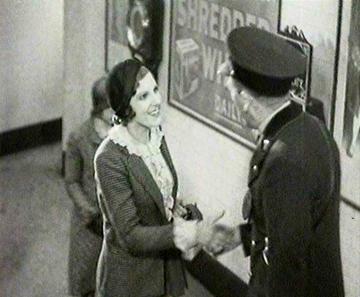 In a later scene, conductor Briggs (Gordon Harker) has a conversation with Leonora as they walk up the stairs from the ticket hall.